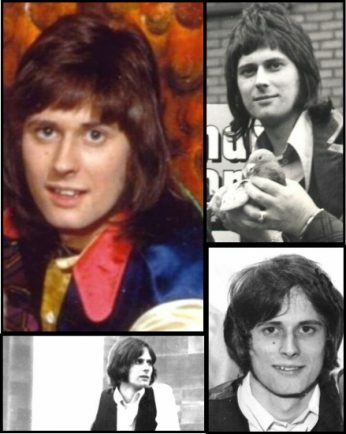 SAD to report the passing of Steve Johnson, best known for being the bass player with Coventry chart-toppers Lieutenant Pigeon. “Steve joined experimental band Stavely Makepeace in the spring of 1970, replacing Pete Fisher. “One of his first appearances with the band was on Top Of The Pops that summer, he was still 19. He was a great bass guitarist and a pretty good vocalist. When Stavely were going through a slight lull in 1971, the idea of a novelty band hit them, to run in tandem with Stavely, and Lieutenant Pigeon were born. Although this offshoot of was never intended to be anything but a sideline (it included Rob’s mother Hilda), their first single released called ‘Mouldy old Dough’ became a number one in 1972, and the biggest selling single that year. Another hit followed, ‘Desperate Dan’, and Steve and the guys concentrated once again on Stavely Makepeace. In 1983 the band released their swansong record, ‘Just Tell Her Fred Said Goodbye’. “Steve resurrected Lieutenant Pigeon as a touring band and recruited three other musicians to perform under that name. “They toured for the next 10 years, with Steve finally throwing in the towel on live gigs and returning to his family roots in Lancashire. “Here, he formed a successful library music company, eventually building his own recording studio, he also formed the company Mediatracks to produce radio programme idents and adverts for radio. “In the summer of 2018 he became ill, finally losing his battle with cancer on January 6, 2019. There is a lot today in people’s lives that can have a serious negative impact, from losing someone special or suffering in silence from the battles of mental health. It’s important that we talk and raise awareness, and one way of doing this is sharing people’s unique stories to assure friends, family, colleagues, whoever may be close to you, that someone is trying to make a change. Three truly unique stories sparked three colleagues to raise awareness, make change and raise as much money as possible to support the families in need and to fund essential medical research. So on Friday February 8, a very special charity event is to be held at The Rialto, Coventry, where money will be collected for Cerys’ Gifts, Mind, NSPCC and Zoe’s Place. In loving memory of Gary Steptoe, Cerys Price and Little Superted. The line up includes Silver lining Chorus Group,Coventry Dancing Feet, Echoes Acoustic Band and Johnny and the Zephyrs plus Subtropical disco.